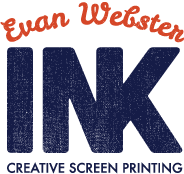 Vermont Tree Goods approached Evan Webster Ink this spring with a unique request. Would we screen print VTG’s logo onto a thick 3ft x 3ft maple slab? 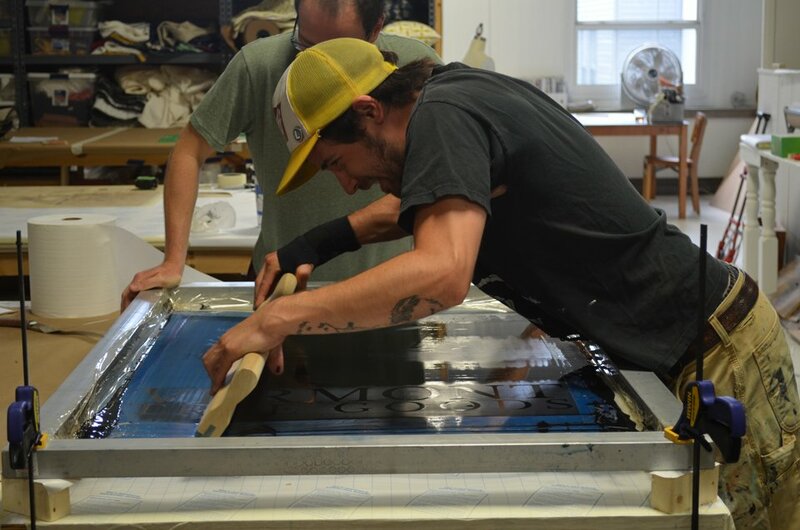 As lovers of unique opportunities to use screen printing, we immediately started thinking and agreed to the job. 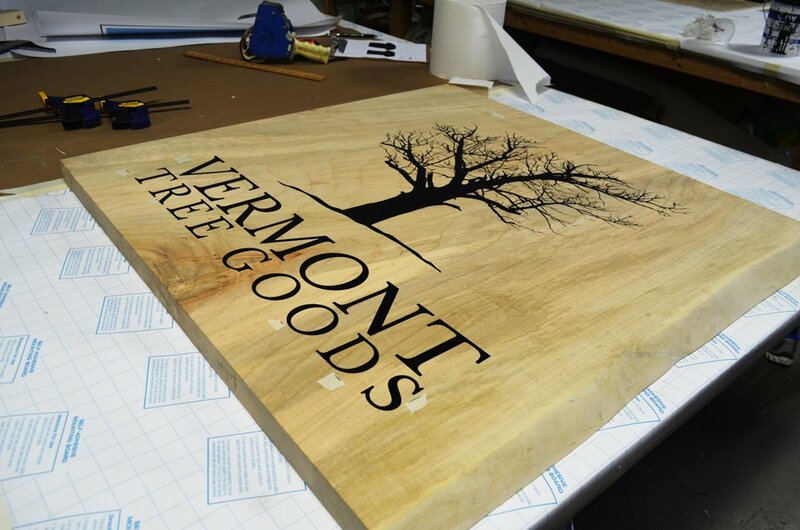 Vermont Tree Goods opened their new Furniture Showroom this May in Bristol, VT. VTG mills planks and creates furniture from recycled heirloom trees that have reached the end of their growing years. Through the transformation into furniture these magnificent beings extend their legacy by living on in homes and businesses. 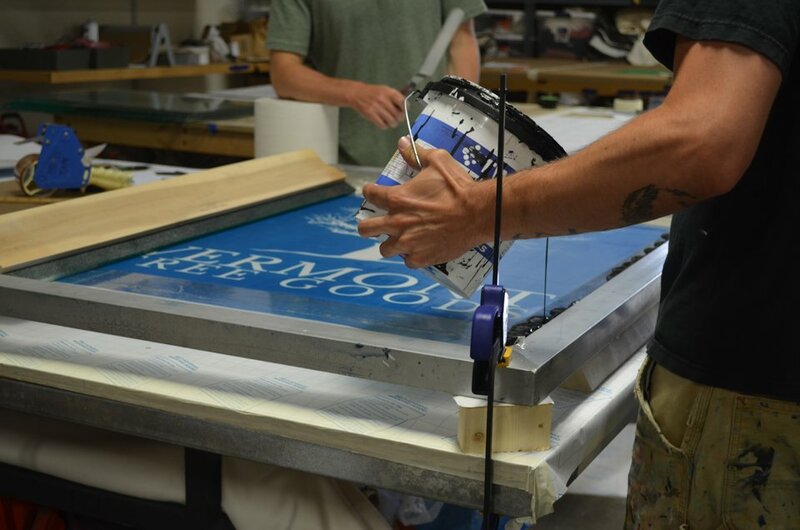 To make the sign, EWI Lead Screenprinter Andrew Stearns used the biggest films, screens, and squeegees he could find to print this high-stakes “one off” piece of wood. You could hear a pin drop after the first pass, but when the screen lifted, everyone was excited to see how stunning the print looked. 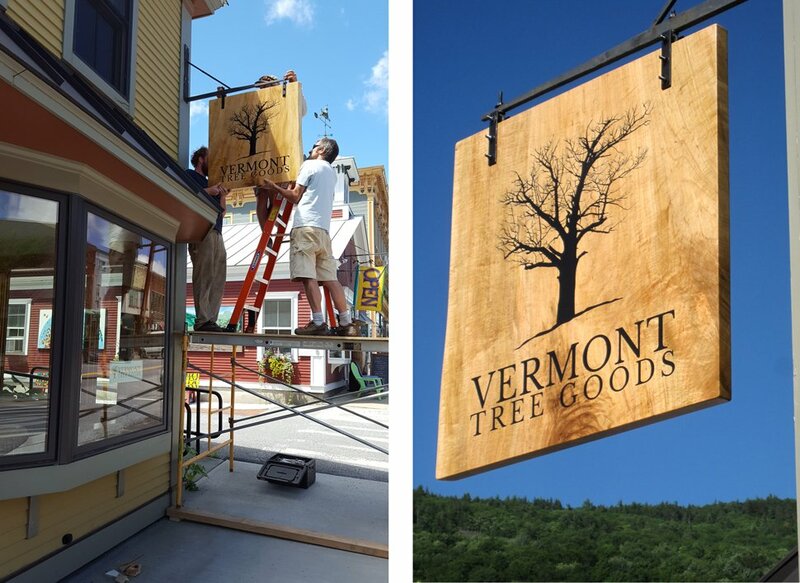 If you visit Vermont Tree Good’s Showroom, be sure to pause outside to admire their stunning sign. Crisp black printing on beautiful Vermont grown and milled maple wood sparkles with its many coats of varnish. This project highlights collaboration of local businesses at its finest.